Grave : Plot II. Row C. Grave 30. 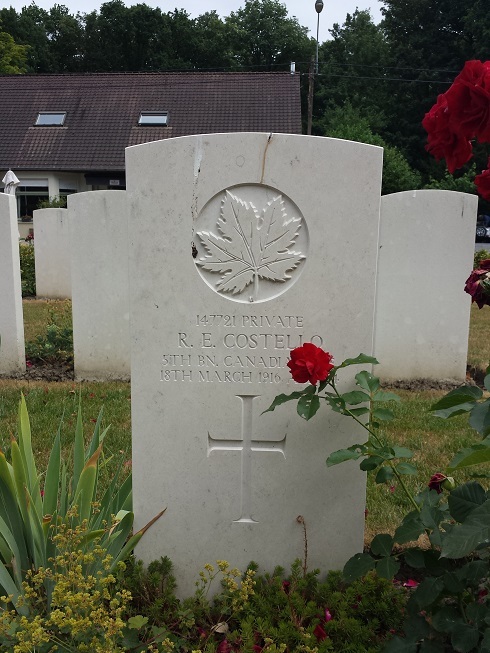 Rupert Edward Costello was a son of John Edward and Emily Costello (nee Coralle), of 14, Guay Avenue, St. Vital, Manitoba.